The Narrows in Zion National Park is a must-do hike for any hiker looking to experience a slot canyon, hiking through water, and see gorgeous views that Zion is known for. 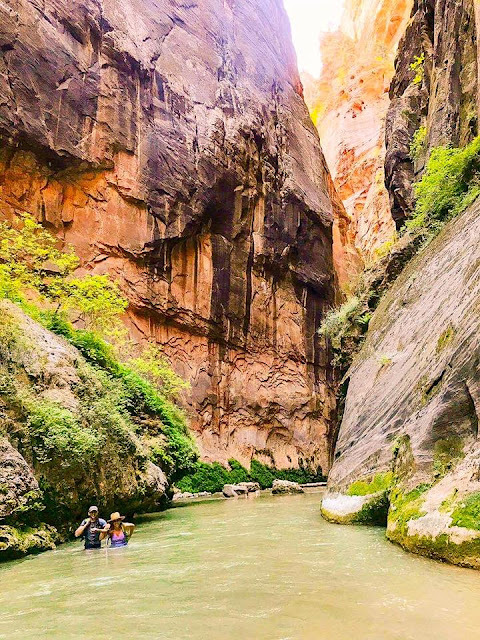 You will not, however, have solitude as The Narrows is one of the most popular hikes in the Southwest, and especially in Utah. 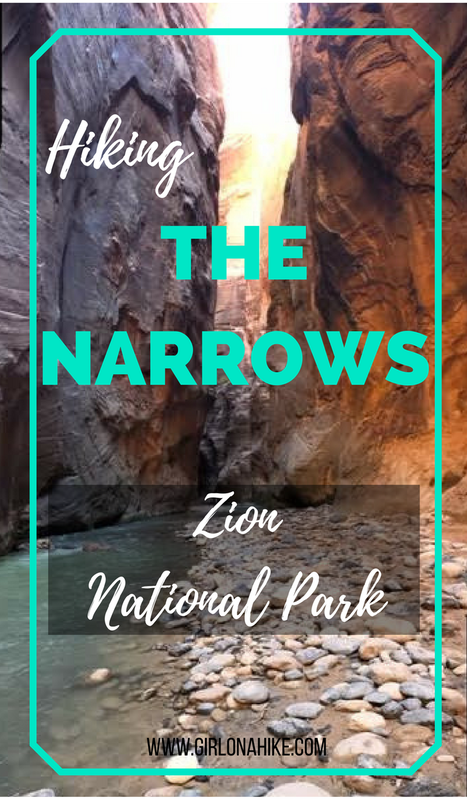 As the name "Narrows" implies, it's the narrowest canyon in Zion Canyon at only 20 feet wide and canyon walls over 1,000 ft high. 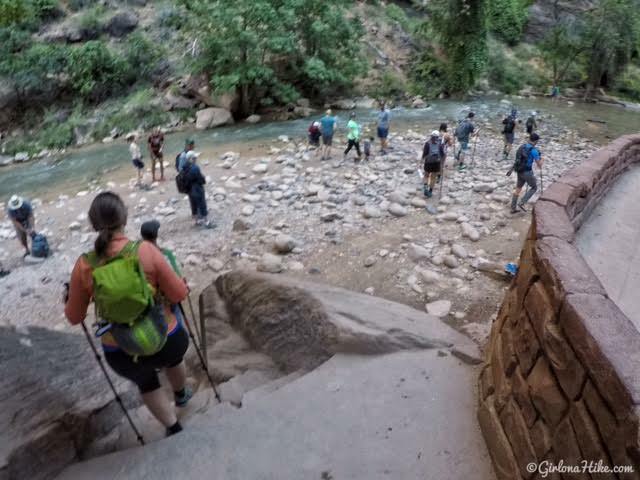 This all time classic hike should not be missed on your trip to Zion! Use this map if you are driving from SLC. Use this map if you are driving from Las Vegas. 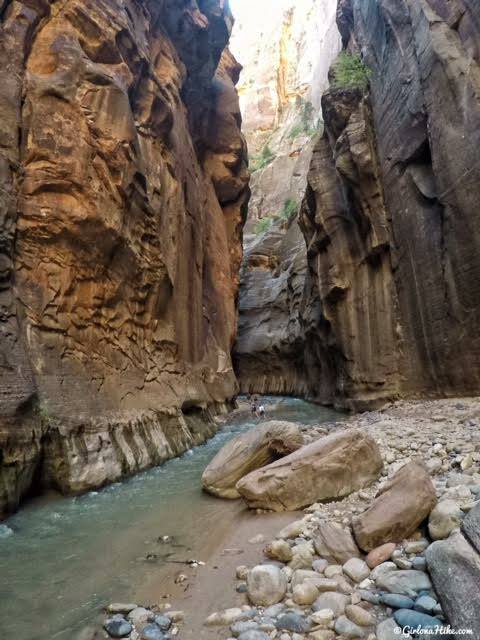 You do NOT need a permit to day hike The Narrows from the "bottom up", starting from the Temple of Sinawava. 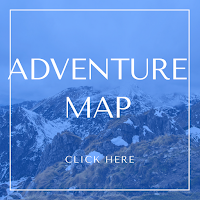 If you would like to backpack from the "top down", starting from Chamberlain's Ranch, then you DO need a permit well in advance of your trip. You can apply for the permit here. Is this kid or dog friendly? 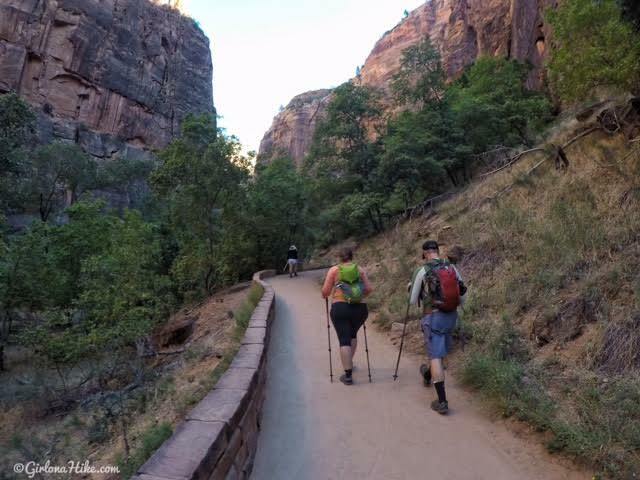 This is not a dog friendly hike, as dogs are not allowed on 99% of the trails in Zion National Park. The only trail dogs are allowed on (leashed) is the Pa'rus Trail. 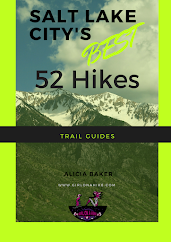 Kids may enjoy this hike, but for a shorter distance. It all depends on their experience and how often they hike. 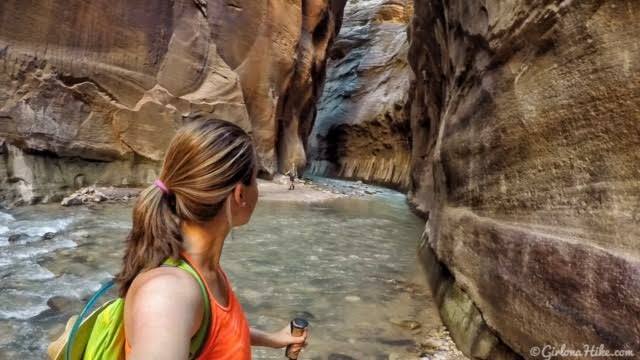 When is the best time to hike The Narrows? 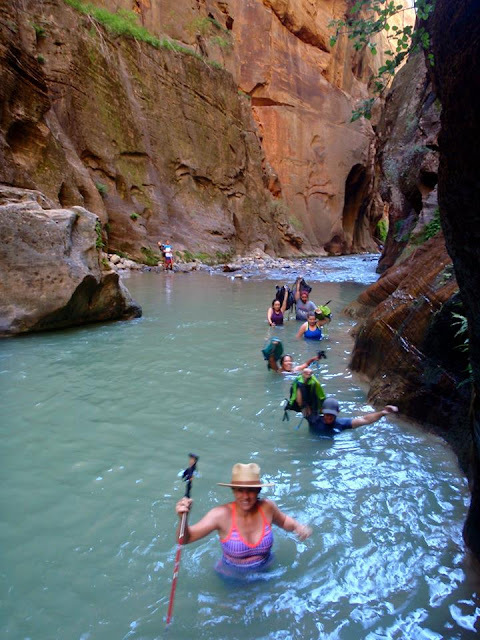 The best months to hike The Narrows is July through September. 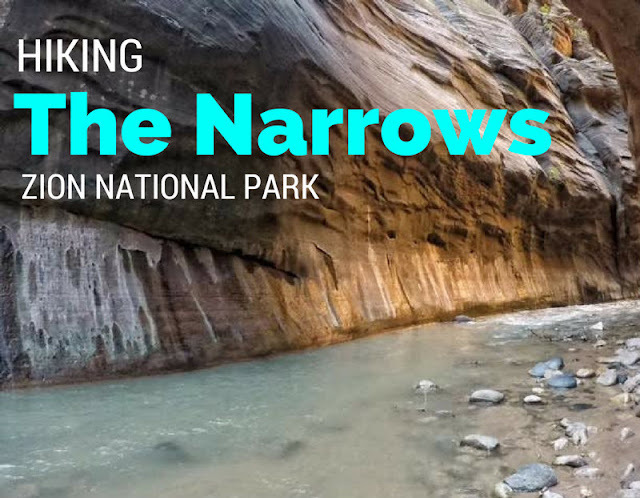 The Narrows is typically CLOSED between Mid-March to Late-May from spring run off. 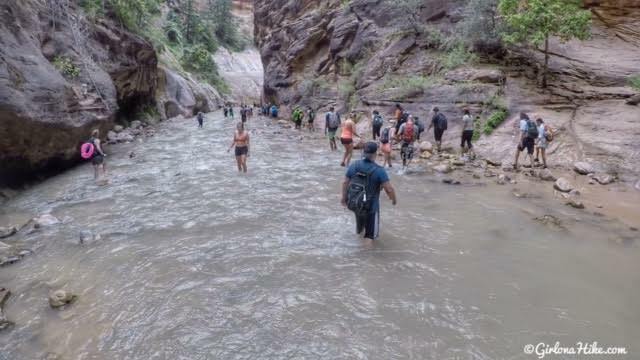 The Narrows will be closed during Flash Flood warnings, especially during monsoon season (summer). Always check the Current Conditions before heading out to hike. 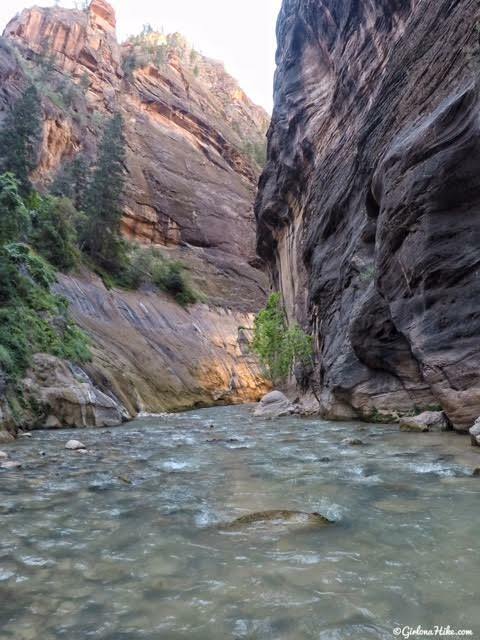 It's easiest to hike The Narrows when the Virgin River flows at 50 CFS - you can check the current CFS rate here. Scroll down halfway to where you'll see "Daily Discharge, cubic feet per second..." and look at the "Most Recent Instanteous Value (date)" and below that it shows the CFS rate for that day. The Narrows is closed when the CFS is over 150. Do I really need to rent those special shoes and wood stick? No, as long as you have your own water shoes (even regular running shoes work) and trekking poles you don't need to rent anything. 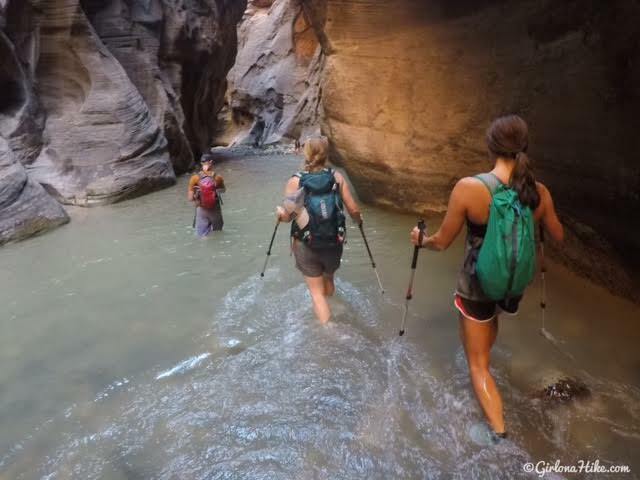 If you never plan on buying water shoes or trekking poles for any kind of adventure then you can rent from the Zion Adventure Company. 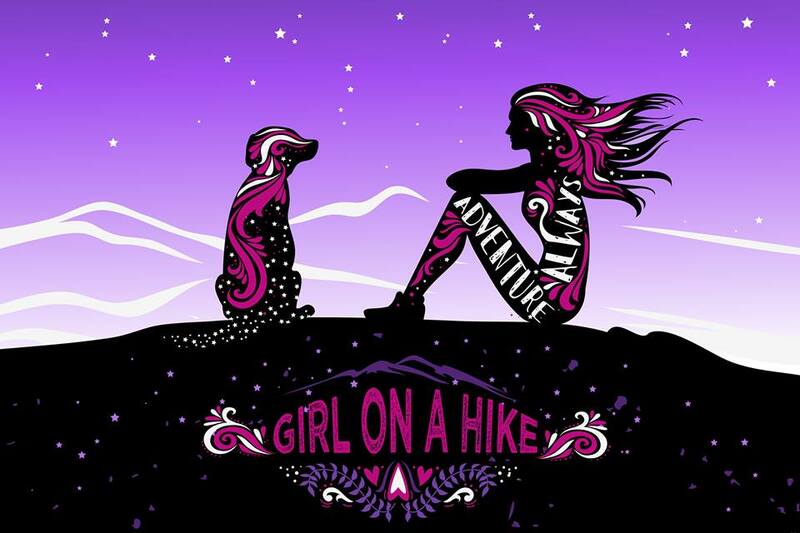 You can request full GPS Coordinates of my route by emaililng me at girlonatrailmail@gmail.com. The cost is $5. 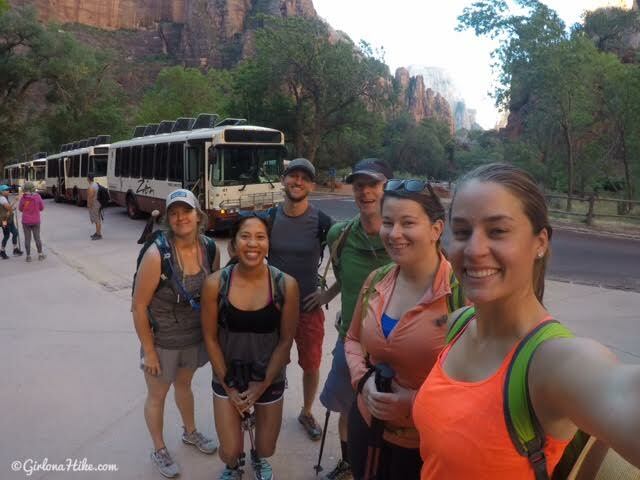 Make sure you catch an early shuttle bus - it takes about 40 minutes from the Visitor Center to the Temple of Sinawava. We started hiking around 9:15am. There are restooms and water fountain at the TH. The first mile is paved. You'll notice they have on long sleeve shirts - it can get cold in the shade even in August. 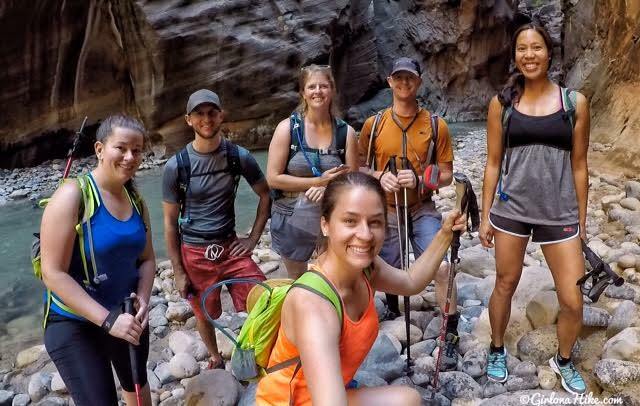 The Narrows hike begins when the paved trail ends and you are forced to start hiking in the Virgin River. You can see there are already a lot of people. It's hard to get a photo of The Narrows without other people but the further up stream you go, the less people there will be. I was able to take this by letting the group of people get ahead, then turned around when there was a break in the crowds. You can't really hike "fast" here because of the water and slick rocks and you wouldn't want to anyway. The scenery is so pretty. The water level in August was about ankle to thigh deep. Two areas we had to actually swim! You'll either need to hold your pack up, like I'm doing, hike with a dry bag backpack, or not care if stuff gets wet. 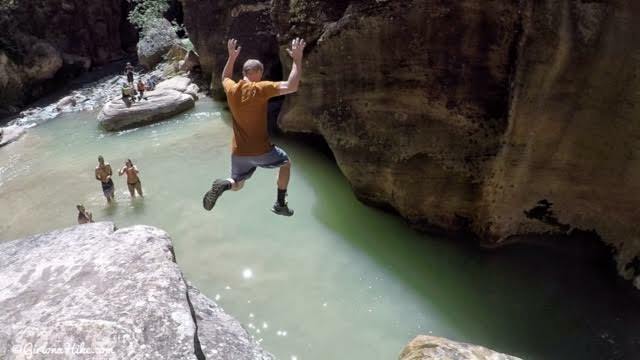 We found one safe spot to jump off a large boulder. Make sure somebody checks the depth of the pool before jumping and injuring yourself. 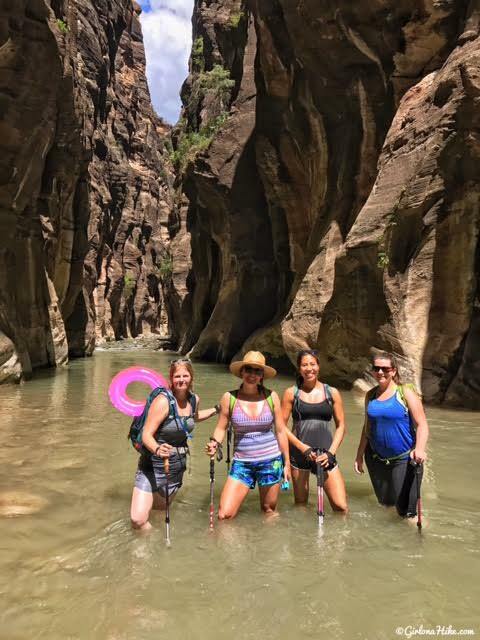 One of my favorite sections of The Narrows - it was knee deep, calm water, and very few slick rocks to worry about stepping over. Very calming. I had such a good time! It was so fun to be outside all day and be able to cool off in the water. Sections of The Narrows have varying colors of wall from red, orange, to deep brown - I really liked the darker canyon walls. It gives it a mysterious feel. 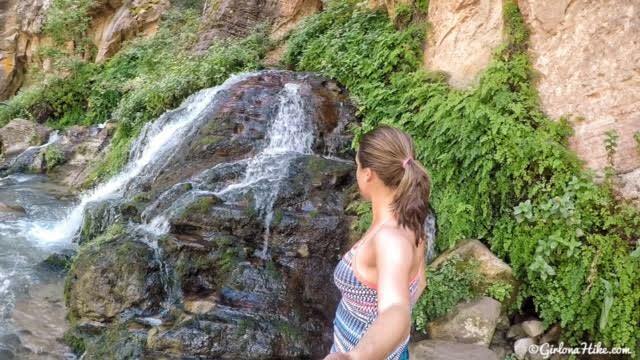 There were several springs coming out from the canyon walls. I was surprised how green the canyon was. There were trees everywhere, even in the cliff high above. 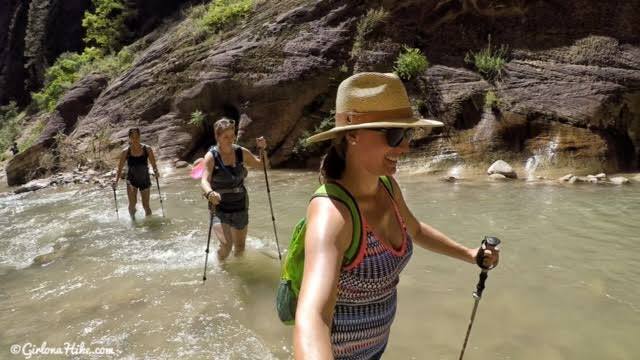 Trekking poles are really helpful, not only for balance, but to judge how deep the river is at times. I only used one, but several people had two. Just depends on how unsteady you feel. Also glad I brough my big beach hat! The swimming section - my feet couldn't touch the bottom so I just swam across while my taller friend kept my pack dry. It's cold but refreshing! Looking back at this beautiful canyon. In perfect lighting, the canyon walls will light up and almost illumintate the area. Our destination for the day was Big Spring, 5 miles up stream. This is a common turn-around point, since you need a permit beyond this point. 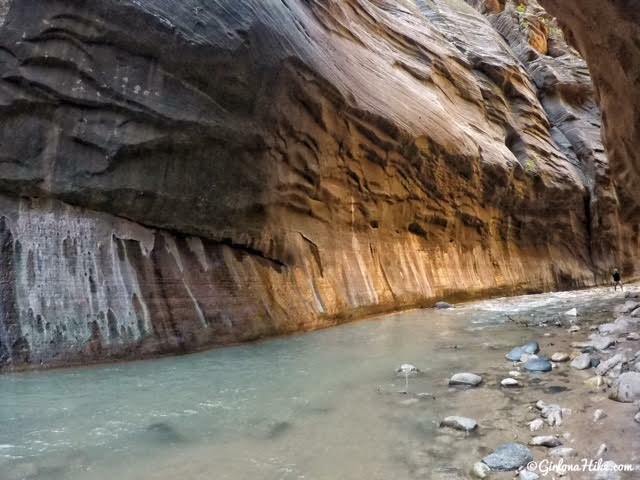 There are three medium-sized natural springs that cascade from the canyon wall into the Virgin River. It reminded me of a mini Havasupai - very tropical in desert terrain! Overall it took us 4.5 hours to reach Big Spring, then only 3 hours on the way back. We took our time taking a lot of photos, swimming, and taking breaks along the way. Plan on a full day in Zion NP just for The Narrows if you want to hike the full 10 miles. It was a little harding hiking up stream as well, so that's why we were faster on the way back. We thought we'd be back to the cars around 2-3pm, but actually got back around 6:30pm. An awesome day, for sure! The "What it really looks like" photo. Trail map - you can't really get lost, just follow the Virgin River. 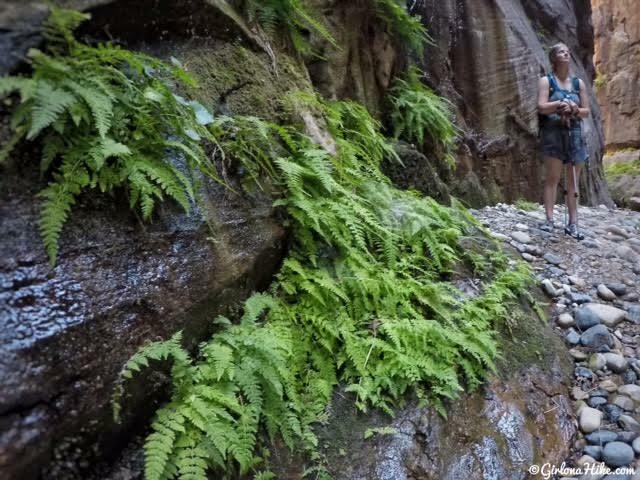 You can take a side hike up Orderville Canyon (not shown on here) for as far as you want. 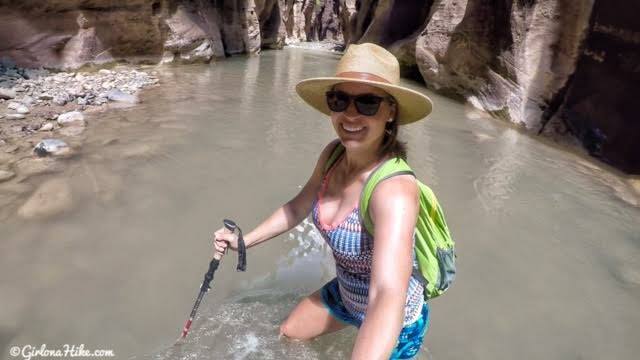 It's narrower and pretty cool to see if you've never been in any slot canyon - we only hiked up about 1/2 mile. 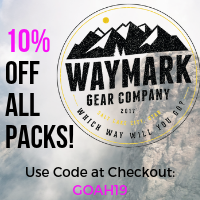 This is definitely the time of year to do this hike and you don't need to rent cold water clothing. Looks like so much fun! This looks like a great trip! So high on my bucket list! 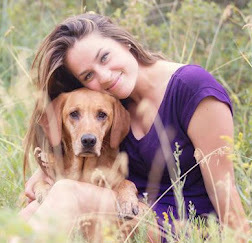 Great information and beautiful photos. Thanks for sharing!